We each spend about 25 years of our life asleep. Intuitively, we know it as a period of rest for tired bodies and overworked minds. Until recently, science had a similar view, seeing it as a largely passive state when our brains and bodies shut down to recover. That understanding is changing. Using increasingly sophisticated brain scan technology, researchers have discovered that sleep is, infact, a highly active time – a period of synthesis and recalibration that’s responsible for how well our brains perform across multiple domains. 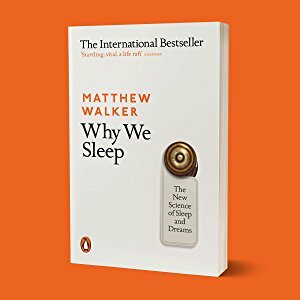 In his new book, Why We Sleep, Matthew Walker, Professor of Neuroscience and Psychology at the University of California, Berkeley, lifts the lid on these developments, telling sleep’s story in a well-written and fascinating read. As well as sharing his contagious enthusiasm for Mother Nature’s engineering, Walker raises serious questions about how we sleep today. He also points to the opportunities for improved cognitive and decision-making performance that are only a pillow away. Sleep is universal. Without exception, all animal species sleep, or do something very like it. Even bacteria have active and passive phases that correspond to the light and dark cycle of our planet. Central to sleep’s relationship with human performance is the shifting, perfectly-tuned cycle of activity between REM (rapid eye movement) sleep and NREM (non-REM) sleep. It is NREM sleep that helps us build our memories, emptying the cache of short term memory stored in the hippocampus and moving it to a more permanent home in the cortex. But it is REM sleep, more commonly recognised as the period during which we dream, that drives the real “informational alchemy” so important to how our brains analyse and consider complex information. During REM sleep our brain processes the vast amount of information that we have taken in during the day, building overarching connections and insights overnight. (That experience of waking up in the morning with the solution to a previously intractable problem? That’s REM sleep doing its thing). REM sleep is also responsible for the recalibrating and retuning of our emotional IQ, increasing our ability to understand and navigate our emotions as well as those around us. The right dose of this cognitive cocktail has a powerful effect – enabling the human mind to judge highly complex environments and ‘large world problems’ with a sophistication that is beyond more artificial forms of intelligence. Walker warns us, however, that this exquisite engineering is very sensitive: Sleep six hours or less and we short change our brains of sleep’s benefits. Indeed, even if we can’t nap during the afternoon (something our bodies are programmed to do), nearly all of us should be aiming for 8 hours sleep per day. This applies whatever our genetic chronotype (ie whether we’re larks or owls). From a neuroscience point of view, this is serious stuff. 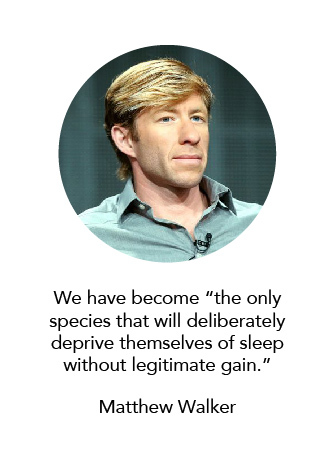 Walker points out that whilst human evolution has benefited enormously from a greater proportion of REM sleep than other animals, we have become “the only species that will deliberately deprive themselves of sleep without legitimate gain”. Significantly, poor sleep habits affect not only the overnight processing of information, but also how well we react and make decisions during the day. “When tired, we are more likely to make impulsive, emotionally-driven decisions and to succumb to our biases.” says Dr Nicholas Beecroft, performance expert and leader of Essentia’s Decision Deep Dive Workshop. Brain scans of sleep-deprived people reveal amplification in the amygdala – the part of our brain responsible for those primitive fight or flight instincts at the heart of so many unconscious behavioral biases. Well-slept, our amygdala is balanced by the influence of the prefrontal cortex, the “CEO region” of our brains that is responsible for rational, ordered thought and problem solving. Start sleeping poorly, however, and this fragile balance is upset, with our higher order cognitive skills soon giving way to “a primitive pattern of uncontrolled reactivity”. As it advances, sleep science is exploring more granular aspects of decision-making. Research has found that despite short term adrenalin boosts or the heightened effort we may make when we’re tired, sleep deprivation can quickly lead to inflexibility of thought processes, poor communication, and a diminished ability to make good decisions when under pressure or faced with unexpected change. One interesting study from Duke University (2011) found that sleep-deprived people tend to evaluate risky decisions with too much optimism. This had historically been attributed to the known impact tiredness has on attention, memory, and integrating feedback. 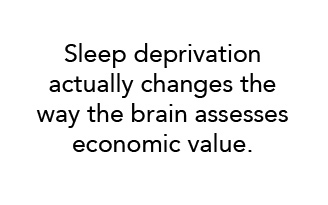 Instead, using an MRI scanner, the researchers found that sleep deprivation actually changes the way the brain assesses economic value. A night of sleep deprivation leads to increased brain activity in brain regions that assess positive outcomes, while decreasing activity in those that process negative outcomes. 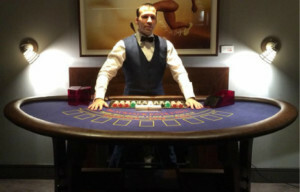 This confirms what casinos have known for many years: that flashing lights and free alcohol will encourage us to stay later and make riskier bets. It also explains the research into online gambling that showed an increased average wager between 3am and 6am. The late night gambler’s best friend. Maybe this doesn’t affect you? Denise Shull, renowned Wall Street investor coach, says that whilst she often recommends getting more sleep to her trader and fund manager clients, it’s not usually taken as seriously as other aspects of self-care such as diet or exercise. Rick Rieder, BlackRock’s Global Fixed Income CIO, recently joked in a recent interview with the Financial Times that “I am not a believer in sleep. It is a waste of time.” Known as early riser, Reider starts his day at 3.30am and survives on four hours’ sleep a night. A recent survey of sleep patterns in financial services by eFinancialCareers reveals that he is probably not alone in his view. 33% of hedge fund professionals said they sleep less than five hours a night. Only 11% said they were exhausted or strung out as a result. 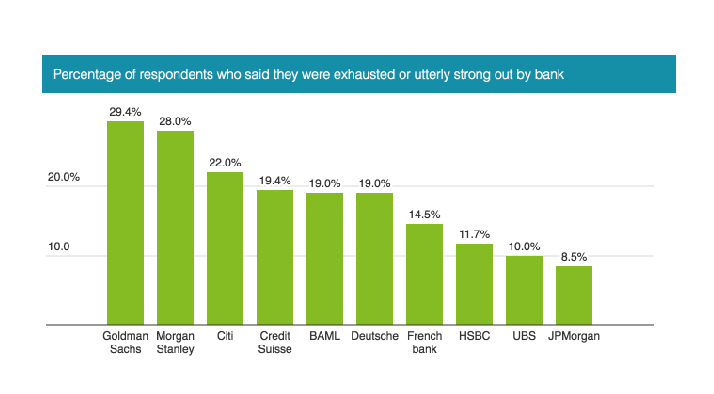 Over 60% of those who completed eFinancialCareer’s sleep survey said they were tired or exhausted. Could people be right about needing less sleep? There is a “sleepless elite” who can sleep for six hours and show minimal impairment, but this a genetic trait – not something we can achieve at will. 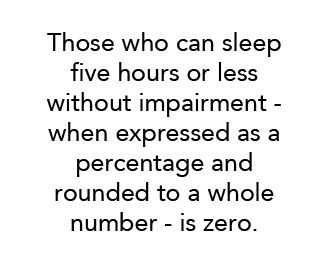 According to Walker, those who can sleep five hours or less without impairment – when expressed as a percentage and rounded to a whole number – is zero. As well as a raft of best-selling books like Walker’s, mainstream advocates of greater ZZZZs include high profile achievers like Marianna Huffington and Jennifer Lopez. Amazon’s Jeff Bezos, known for his punishing work ethic, refuses point blank to cut into his 8 hours’ sleep and dilute the quality of his decision-making. McKinsey recently advised its corporate clients that sleep is “an important organizational topic that requires specific and urgent attention”. Moving slowly away from the cult of “presenteeism”, businesses are now exploring how better sleep could be as important to achieving their KPIs as good time management and effective communication. In professional sport, sleep has emerged as a reassuringly legal performance enhancer. A breakthrough study in 2011 revealed how better sleep for basketball players leveraged NREM sleep’s “offline learning” for motor skills, leading to measurable improvements in sprint times and free-throw accuracy. For the US military, where “physical, cognitive and emotional dominance over our opponents” is a matter of life and death, has its own sleep initiative. The Performance Triad program (P3) is based on three pillars: nutrition, exercise and 7-8 hours of sleep daily. 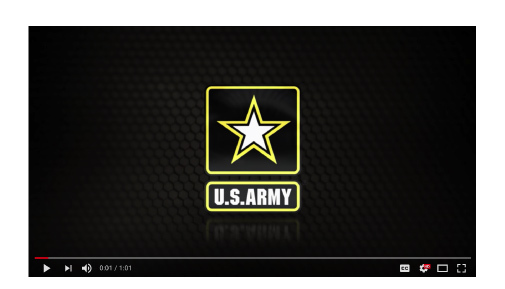 The US army’s P3 program is delivered via 24 video modules publicly available on YouTube. Not surprisingly, all this activity is accompanied by a new breed of sleep entrepreneurs on a mission to reunite us with better sleep. McKinsey report that the value of the the sleep-health industry – everything from bedding to sleep consultancy, and sleep monitoring devices – is worth between $30bn and $40bn and growing easily at more than 8% a year. Feeling tired, but someone’s already nabbed the office sleep pod? Why We Sleep is a fascinating book about an amazing thing that we do with a large proportion of our time on earth. Those working in corporate finance, with new families or hectic travel schedules know that suggesting we all just sleep more is too simplistic to be managed every day, and right now. But something in our culture’s attitude toward sleep is shifting, and Walker’s book reminds us that sleep is a skill that needs to be cultivated and nourished. For those who get paid for their analytical and cognitive superiority, it’s an investment that’s well worth making. 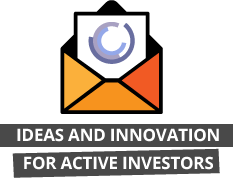 Indeed, Essentia Analytics already has clients who have connected their Fitbits to Essentia so that they can see how their sleep patterns are correlated with the quality of their investment decision-making. Once we’ve got some interesting insights from the data, we’ll be sure to share them. Stick to a sleep schedule: Try and go to bed and wake up at the same time each day. Even at the weekend. As creatures of habit we have a hard time adjusting to sleep patterns. To make this easier, consider setting an alarm for bedtime.